Pitcher Matt Garza signed a free-agent contract with the Brewers for $50 million over four years, but the deal also contains a vesting option for a fifth year at $13 million if the starter fulfills multiple requirements. While everybody thought the Milwaukee Brewers were having a quiet offseason, general manager Doug Melvin was pursuing a starting pitcher he would eventually sign to the largest free-agent contract in franchise history. As proven by how quickly word of a premature agreement spread last Thursday, this day and age doesn’t allow for teams to negotiate with anyone quietly. 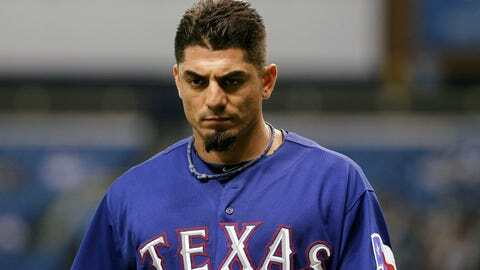 That’s why Milwaukee’s stealth courtship of Matt Garza was so surprising. Now that Garza is officially in the fold, what does the deal mean for the Brewers? First, the base price tag — four years, $50 million — isn’t all that bad in the grand scheme of things. My personal belief was that a pitcher with the talent Garza has would get more, just because that’s what the market had dictated. Ricky Nolasco, a pitcher who has had just two seasons with an ERA under 4.48, signed a four-year, $49 million deal with Minnesota earlier in the winter. At 41 years old, Bartolo Colon got $10 million per year from the Mets. Go back to last season when the Cubs gave Edwin Jackson $52 million over four years, and the Garza deal looks like a bargain. That’s not to say there’s no risk involved. Garza is injury-prone and the Brewers know it, that’s why they covered themselves a bit with the wording of the vesting option for 2018. There’s certainly a chance this could backfire and Garza spends a chunk of the next four years on the disabled list. It’s a valid reason to question the signing, but then you’d have to do the same thing for almost every free-agent contract, since injury risk exists with anyone. Melvin and owner Mark Attanasio got creative with the fifth-year vesting option for Garza, the details of such were first reported Tuesday by the New York Post. First, Garza needs at least 110 starts in the first four years of the contract. That’s an average of 27.5 starts per season, not leaving the right-hander much room for missed starts or major injuries. If Garza does get to 110 starts over 2014 to 2017, he’ll need 115 innings pitched in 2017 and to not end the season on the disabled list in order for the option to vest at $13 million for 2018. Garza will need to be healthy and a contributor in the fourth year of the deal to get to the fifth year at full price. He’ll likely have lived up to the contract if that happens. But say he doesn’t make 110 starts in the four years or hit the innings limit in 2017 or he finishes that fourth season on the disabled list. Then things get interesting. If Garza has spent 130 days of any 183 day period on the disabled list during the contract, Milwaukee has a $1 million team option for 2018. If he doesn’t spend a stretch that long on the disabled list it’s a $5 million team option. Either way, pitching doesn’t come cheaper. Between the creative wording of the vesting option and some of the deferred money, an injury to Garza would not cripple the Brewers. But a healthy Garza can make a difference. Garza is not a true "number one" pitcher. Milwaukee is never going to be able to go out and sign one of those. There aren’t many of them in baseball and the real aces get paid more than the Brewers can afford. Clayton Kershaw is set to make over $30 million per year during the next seven seasons, an insane amount that is the going rate for a guy of his ability. The only way the Brewers will ever have a top-of-the-rotation, Cy Young-frontrunner starter is by trading for a rental — C.C. Sabathia and Zack Greinke, for example — or drafting one. Stockpiling pitchers of the next tier is probably the best they can do right now. And that’s what the Brewers have done. Garza, Kyle Lohse and Yovani Gallardo are solid, proven arms. Wily Peralta has the ability to have a nice season, while Marco Estrada could be a very good fifth starter if he’s healthy. Milwaukee won’t have a dominant rotation, but one isn’t needed to contend. The addition of Garza gives the Brewers a chance to contend for a Wild Card spot if the offense performs the way it can and the unproven bullpen gets the job done. This deal alone doesn’t suddenly vault Milwaukee past St. Louis, Pittsburgh and Cincinnati, but it does give the Brewers a chance to compete this season. Is this a gamble? Sure, but as more of the contract details emerge, it is becoming clearer that this is one the Brewers needed to take.